Grenade .50 Caliber Pre-Workout Powder Orange Pineapple | BUDK.com - Knives & Swords At The Lowest Prices! 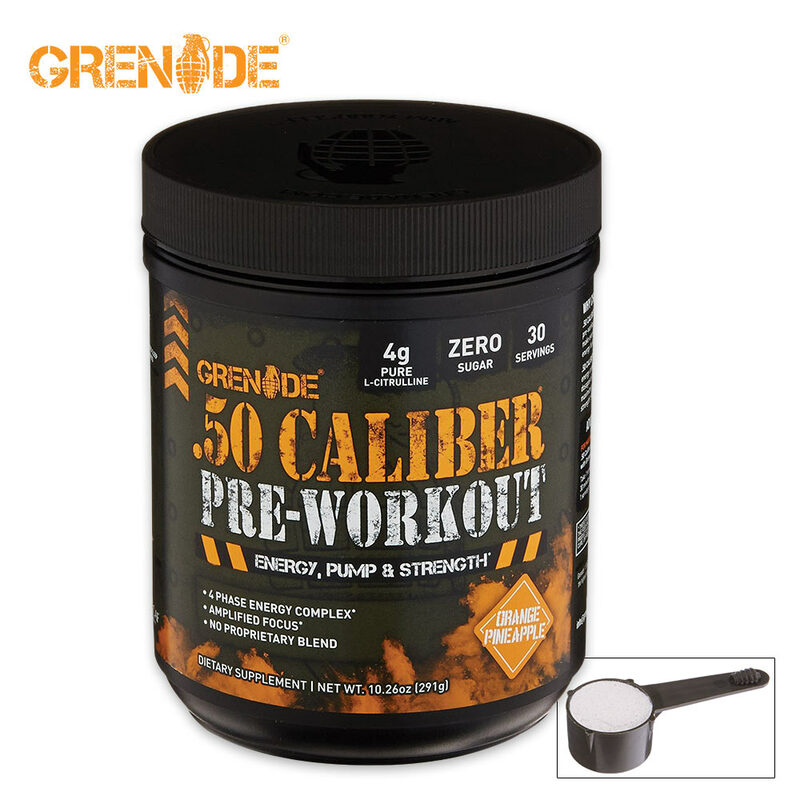 Don’t work out without fueling yourself with the Grenade .50 Cal Pre-Workout Powder first! 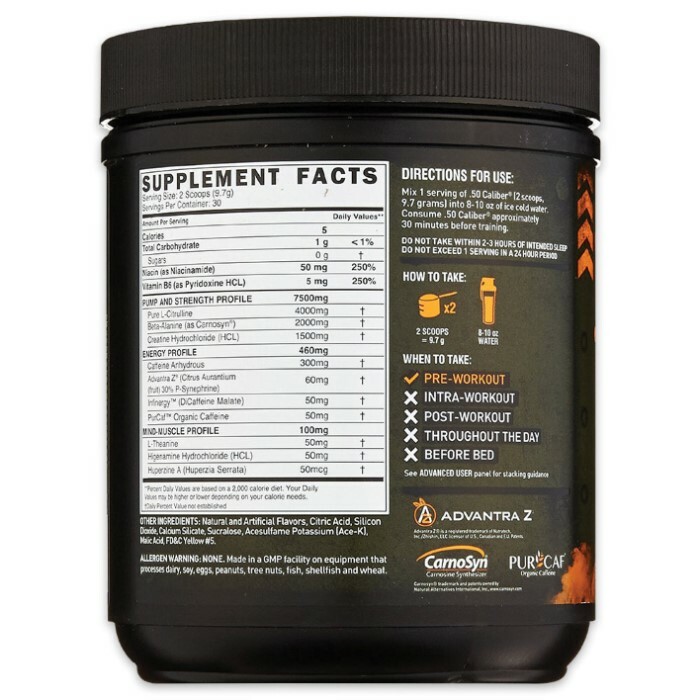 It’s a hard hitting, 4-phase energy complex and pre-workout devastator designed to make every workout an explosive, energy fueled assault. Loaded with scientifically backed ingredients in high doses, it helps to amplify energy and deliver unparalleled power and enhanced focus. 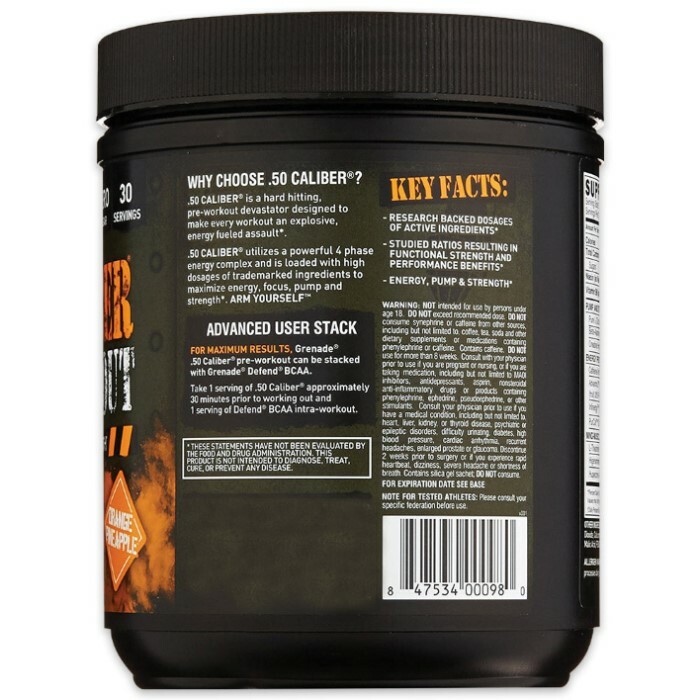 The .50 Cal Powder is designed for hard training individuals who are serious about performance and results. It comes in a great tasting orange pineapple flavor and contains zero sugar. There are 30 servings in the package. This is an amazing pre-work if you are looking for long lasting energy. It wakes me up in the morning and gets me pumped to go to the gym. If you are looking to push out a few extra reps in each set and really build muscle then this will give you the energy and focus to do it. I highly recommend this product for any serious workout junkies.